Stress is a challenge we all deal with. We may or may not be able to control how our body deals with it. One vent or response to stress is clenching our teeth. In the past some recreational drugs caused severe clenching of teeth to the extent that many molars split in two, resulting in an extraction. Grinding teeth can occur with children to the extent that we can hear them in their sleep. Adults can grind in their sleep so annoying that their spouse can’t sleep. Some clenching can occur with no sound. Most of this involuntary problem occurs in our REM (rapid eye movement) sleep. This is a deeper type of sleep, but is not the deepest sleep we can have. Since we have no control over our actions during this sleep, how do we protect our teeth from the damage this grinding can cause? The issue is somewhat understood originating from ideas from the dental field but is not particularly exact science. The pattern for the eruption of teeth starts from an eruptive force of some sort, and our muscles and contacting teeth while eating guides them to their respective mature location. Cultures eating more difficult foods to chew tended to have a more ideal arrangement and set of teeth than cultures that ate softer foods. As cultures mingled, those notions got clouded when mismatched physique from a large robust German married a petite English lady. The child inherited the small mouth with big teeth and any amount of natural eruptive forces couldn’t straighten the teeth. The interferences in the guiding contours of the teeth stimulated grinding in an attempt to position the tooth into the correct alignment. Maybe? Bruxism splints, made to help with the uncontrolled grinding of teeth, are made with an acrylic material like a retainer and cover all the teeth, or the result would cause the uncovered teeth to move orthodontically out of place. This splint is usually worn at night and repositions the mouth to an area that causes muscles to release rather than contract. It does not train us to stop grinding but helps pass through our stressful time and maybe we can put it aside until another stress cycle begins. Most people wear them every night since it has a relieving character to it lending to a more relaxed sleep, regardless of our stress experience. This is a very superficial description of a treatment with many variables. The Dentist of Allen can provide you with solutions to protect your teeth and maybe improve your sleep if you feel your stress is vented by clenching your teeth at night. Rachel is a Registered Dental Assistant and serves as a Business Assistant in our Treatment Department. 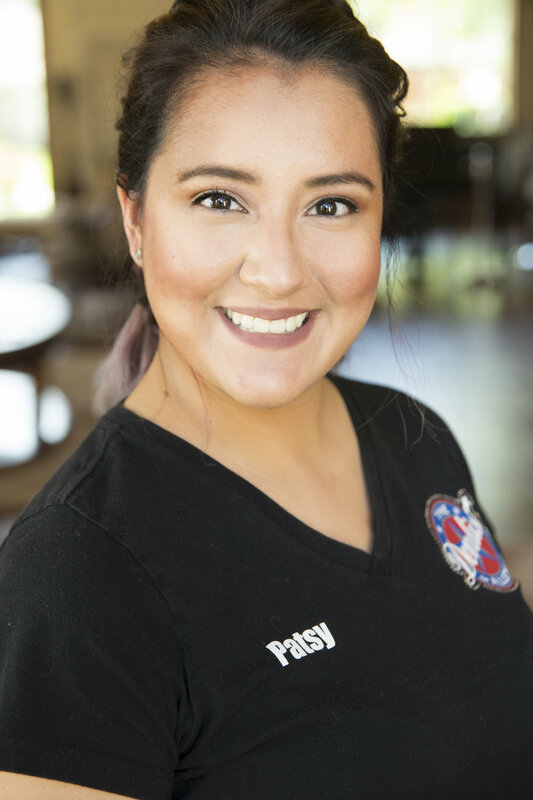 She received her Dental Assisting education from the Collin County Community College Dental Assistant Program in 2007 and began her dental career. Rachel joined The Dentist of Allen in June of 2010 as a Registered Dental Assistant. She was born in Dallas, Texas and grew up in Oak Park, Michigan. Rachel attended Western Michigan University and studied Early Childhood/Elementary Education from 2002 to 2005. She continues to increase her knowledge by attending continuing education courses each year. Rachel is certified in Radiology, Nitrous Oxide Monitoring, and Cardiopulmonary Resuscitation & Basic Life Support Training. She has successfully completed the OSHA Hazard Communication Standard, Bloodborne Pathogens Standard, AIDS Training, CDC Infection Control Guidelines, and Waste Management. Rachel is one of the cheerful voices you hear when contacting us by phone. She is also one of the friendly smiles you will see when entering our office. Rachel can assist you with scheduling, insurance coordination, patient education, treatment planning, payment arrangements, and many more. When not in the office, she and her husband, Alvin, are caring for their sweet girl, Emma, who was born on June 25, 2013. Rachel enjoys rugby, working out, reading, scrapbooking, and spending time with her family. Veronica is our Dental Assistant Team Leader and is a Registered Dental Assistant. She serves as the primary assistant for Dr. David Bishop. Veronica received her Dental Assisting education with a minor in Biology from the Texas A&M University-Kingsville Dental Assisting Program in 1999. She began her dental career as a dental assistant with Lovett Dental in Corpus Christi, Texas and also worked in one of their Houston, Texas offices. Veronica was born in Corpus Christi and grew up in Benavides, Texas. She currently lives in Plano, Texas. Veronica joined The Dentist of Allen in June of 2005. She maintains her high level of experience in general, orthodontic, and pediatric dentistry by attending continuing education courses every year. Veronica is certified in Radiology and in Cardiopulmonary Resuscitation & Basic Life Support Training. She has successfully completed the OSHA Hazard Communication Standard, Bloodborne Pathogens Standard, AIDS Training, CDC Infection Control Guidelines, and Waste Management. Veronica is bilingual and is very helpful in guiding our Spanish speaking patients through their dental treatment needs. Veronica‘s hobbies include exercising and spending time with family and friends. Laura is our Dental Hygiene Team Leader and is a Registered Dental Hygienist. She graduated from Tarrant County Junior College in 1998 with an Associate’s Degree in Applied Science. Laura has worked in the dental field as a dental assistant since 1988 and as a Registered Dental Hygienist since 1998. She was the recipient of the Texas Dental Hygienist Scholarship in 1998. Laura was born in Irving, Texas and grew up in Sherman, Texas. She joined The Dentist of Allen in September of 1999 as a Registered Dental Hygienist. Laura continues to further her knowledge every year by maintaining at least 12 hours of continuing education courses that are technical or scientific with significant intellectual or practical content and are designed to directly enhance knowledge and skill in providing clinical care. She is also certified in Cardiopulmonary Resuscitation & Basic Life Support Training. Laura has successfully completed the Jurisprudence Assessment for Licensure with the Texas State Board of Dental Examiners and has successfully completed the OSHA Hazard Communication Standard, Bloodborne Pathogens Standard, AIDS Training, CDC Infection Control Guidelines, and Waste Management. She is certified in Radiology, Pit & Fissure Sealants, and Nitrous Oxide Monitoring. Laura stays on the front of advancements in dental hygiene to provide the best quality dental care available to all her patients. She lives in here in Allen, Texas and enjoys traveling, computers, word games, and crafts..
Christina is a Registered Dental Assistant and serves as the primary assistant for Dr. Robert Kim. She received her Dental Assisting education from the Collin County Community College Dental Assistant Program in 2003. Christina began her dental career as a dental assistant with Dr. Greg S. Hulings in Frisco, Texas until joining The Dentist of Allen in November of 2005. She was born in Dallas, Texas and grew up Allen, Texas. Christina is a 2002 graduate of Allen High School and currently lives in Allen, Texas. She continues to further her knowledge through yearly continuing education courses in order to provide patients with the highest level of care. Christina is certified in Radiology, Nitrous Oxide Monitoring, and Cardiopulmonary Resuscitation & Basic Life Support Training. She has successfully completed the OSHA Hazard Communication Standard, Bloodborne Pathogens Standard, AIDS Training, CDC Infection Control Guidelines, and Waste Management. Christina enjoys traveling, shopping, country concerts, Nascar, and grilling out with family and friends. Christina has been in Dentistry for over 16 years. She started as a Dental Assistant, then attended Dental Hygiene school and graduated in 2014. She believes that going to Dental Hygiene School was the best career choice she could have ever made. She is certified in Cardiopulmonary Resuscitation and Basic Life Support training. She has successfully passed Jurisprudence Assessment for Licensure with the Texas State Board of Dental Examiners. In her daily routine, OSHA and CDC Infection Control Guidelines are highly regarded. She also maintains certifications in Radiology and pit and Fissure Sealants. Christina has always loved the dental field and the opportunity to create relationships with her patients, making them feel comfortable and confident in their smile. She recently married in 2017 and together she and her husband have four grown children: two boys and two girls. She and her husband love the outdoors and camping together. Christina can be found around the office laughing and trying to see a positive in everything. She believes life is too short to sweat the small stuff. Emily is a Registered Dental Hygienist. She graduated from Collin College with the degree, Associate of Applied Science in Dental Hygiene in 2002. Emily was born and grew up in Longview, Texas. She and her son, Luke, now reside in McKinney, Texas. Upon graduation Emily began working with David Grattafiori, DDS, in Plano, Texas, working Monday through Thursday. She joined The Dentist of Allen in September of 2002 working Fridays. Emily annually attends both the Southwest Dental Conference in Dallas, Texas and the Texas Dental Association Meeting in San Antonio, Texas to further her knowledge every year by maintaining at least 12 hours of continuing education courses that are technical or scientific with significant intellectual or practical content and are designed to directly enhance knowledge and skill in providing clinical care. Emily has successfully completed the Jurisprudence Assessment for Licensure with the Texas State Board of Dental Examiners and has successfully completed HIPAA Training, the OSHA Hazard Communication Standard, Bloodborne Pathogens Standard, AIDS Training, CDC Infection Control Guidelines, and Waste Management. She is certified in Cardiopulmonary Resuscitation & Basic Life Support Training and is also certified in Radiology, Pit & Fissure Sealants, Nitrous Oxide Monitoring, and Sedation Monitoring. She enjoys spending time with Luke. She also enjoys traveling, scuba diving, and spending time with family and friends.